Where are the sane Democrats emerging to denounce the Russia collusion hoax? Where are the sane Democrats emerging to denounce the Russia collusion hoax after Special Counsel Robert Mueller’s report to the Attorney General found no coordination or conspiracy between the Trump campaign and Russia in the 2016 election? Admittedly, it is certainly hard for members of Congress who staked out unequivocal ground that President Donald Trump was a Russian agent to now backtrack. 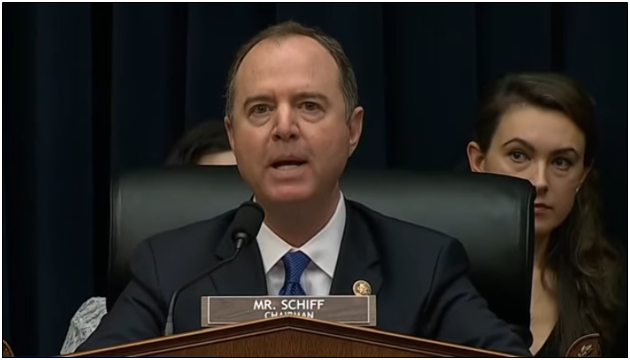 House Select Committee on Intelligence Chairman Adam Schiff (D-Calif.) still cannot let it go — and nobody really expects him to. President Trump and several Republicans in Congress have called for Schiff to resign, but that likely won’t happen either, as House Speaker Nancy Pelosi emerged to declare she was “so proud” of Schiff’s work. Schiff staked his entire reputation on peddling the Russia conspiracy theory. He will forever be remembered as the wild-eyed McCarthyist who falsely accused Trump of being a Russian agent. That is his legacy. But what about the other members of Congress, who have remained relatively quiet throughout this ordeal? Where are the thoughtful voices who ought to be appalled at the fact that the Obama administration ordered surveillance of the Trump campaign, the opposition party, in an election year to investigate imagined crimes of treason? Democrats used to stand for reforming the abuses that have taken place at the Foreign Intelligence Surveillance Act (FISA) court. Where are they now? This was the greatest abuse of the FISA court system since it was created in 1978, which was founded to stop political abuse of the nation’s intelligence agencies that occurred in the 1960s and 1970s, with mass surveillance of anti-war protesters, members of Congress and others. Because of these new abuses, the case for FISA reform might be stronger now than ever. But to get there, Democrats would have to acknowledge that spying on the Trump campaign under suspicion of being Russian agents — when they weren’t — was wrong and must never be allowed to happen again. If Democrats cannot bring themselves to denounce this, they have no credibility left on the issue of mass surveillance. They are Big Brother. What about Democrats who used to be supportive of détente policies towards the Soviet Union to avert nuclear war? Since Russia hysteria hit Washington, D.C. in 2016, the 1987 Intermediate Nuclear Forces Treaty — which was ratified in overwhelming bipartisan fashion by the Senate 93 to 5 — has disintegrated. The 1991 Strategic Arms Reduction Treaty, which passed the Senate 93 to 6, could be the next to fall. We’re in a new nuclear arms race now, and it is hard not to point to the poisoning of U.S.-Russian relations since the election as being the main culprit for the current escalation cycle. Add to the mix ongoing tensions in Ukraine including Crimea and Syria, which have the potential of pitting U.S. military forces against Russia’s, and it is clear that the Russiagate allegations have made the world a more dangerous place and made it more difficult for President Trump to defuse these hotspots. That won’t end, even after Trump has left office. Which might be the most unfortunate outcome of this hysteria: the diminished ability of future presidents to diplomatically engage with Russia on critical issues surrounding nuclear proliferation and security. It is hard to overstate the damage that has been done here. Mind you, this could have been largely avoided, but it would have required statesmen on the Democratic side of the aisle to think about the long-term consequences of destroying U.S.-Russian relations, the DNC and Podesta email hacks and Wikileaks publication notwithstanding. To be fair, there have been since the beginning of the Russiagate allegations perfectly sane liberal voices in media. Matt Taibbi calls the Russia collusion hoax the Democrats’ version of the Iraq WMD intelligence failure. Glenn Greenwald has made a sport out of debunking Russia collusion, as have Alan Dershowitz and Stephen Cohen. They and others have rightly pointed to the geopolitical dangers of all this, but they have also largely been voices in the wilderness on the left. Certainly some sage advice about the impending catastrophe Democrats might face in 2020 if they continue down this path, but is anyone really listening? If nothing else, this shows some level of contrition however inadequate is possible. But notable outlets like the Washington Post, the New York Times, CNN and MSNBC have not really, fully acknowledged just how wrong they were for uncritically reporting the intelligence assessments that falsely alleged Trump-Russia collusion. Which is all the same. They will forever be remembered as fake news. The question of where Democrats go from here is a good one. Their promises to their supporters of a grand conspiracy between Trump and Russian President Vladimir Putin have been proven to be a hoax. Their supporters are going to feel betrayed. It was all a lie, after all. But continuing to defend that lie will not make it get any better.